When applying for jobs, you make sure your resume and cover letter are well written, up to date, and targeted to show that you are the best candidate for the position. When you go to an interview, you do thorough research on the company beforehand and practice answering typical interview questions. However, one thing you might not think to prepare for is an employment credit check. In addition to background checks, some employers also run credit checks on applicants and use that information to make hiring decisions. A National Association of Professional Background Screeners (NAPBS) survey reports 95 percent of employers conducted some type of employment background screening, 31 percent ran credit checks on some applicants, and 16 percent checked the credit of all applicants. A CareerBuilder survey reported that 29% of employers who responded checked credit. Most background screening occurred after a conditional job offer. Most often, employers check the credit of those applying for jobs that deal with money. For example, jobs that require confidentiality and financial integrity (including positions in banking, accounting, and investing) will likely require credit checks. The best way to prepare for an employment credit check is to know what is in yours. An employment credit check is one of many common background checks. Employers who check an applicant's credit typically use a third-party company. An employment credit report includes identifying information, such as your name, address, previous names and addresses, and Social Security number. It also shows the debt you have incurred, including credit card debt, mortgage and car payments, student and other loans, and your payment history of those debts and loans—including late payments. However, there is certain information that is not included in an employment credit report. For example, your date of birth is not included on the report. It also does not include your credit score. The Fair Credit Reporting Act (FCRA) is the federal legislation that sets the standards for employment screenings, including credit checks. The employer must get your written approval. Before an employer conducts a credit check on you, the company must notify you in writing and get your written authorization. If you do not consent to the credit check, the employer might go forward with the interview process, but he or she may also reject your application on the spot. The report can’t include old information. Generally, the credit report cannot include negative information that is seven or more years old. It also cannot include bankruptcies that are more than 10 years old. There are laws regarding bankruptcy information. According to the FCRA, you cannot be discriminated against solely because you filed for bankruptcy. However, bankruptcies are public record, so it is easy for employers to obtain the information. You must be told if the report is used against you. If the employer does not hire you because of the report, the company must inform you. The employer also must give you the contact information for the third-party agency used to get your credit report. You can see what is in the report. You have a right to receive a copy of your credit report for free. You also are entitled to a free report any time it is used against you by an employer. You can dispute the information. If the data in the report is inaccurate, you can dispute the findings. Here is more information on how to dispute errors in credit reports. Some cities and states have laws that restrict or prohibit employment credit checks. Check with your state’s department of labor if you want to know the local laws about credit checks. The Equal Employment Opportunity Commission (EEOC) oversees employer practices regarding applicant credit checks. If you suspect that an employer has used credit checks to negatively impact candidates because of race, ethnicity, age or gender, you can report the organization to the EEOC. Most states allow employers to utilize credit reports in a fair and equitable manner within the hiring process. However, some locations have regulated the use of credit reports and placed restrictions on how the information can be used. 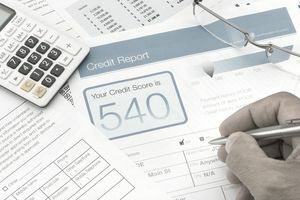 California, Colorado, Connecticut, Hawaii, Illinois, Maryland, Nevada, Oregon, Vermont, Washington, and other states have statutes on the books limiting the use of credit reports. In these states, the use of credit checks is restricted to specified occupations or situations where financial transactions or confidential information are involved. Many other states have legislation pending that might prohibit the use of credit reports by employers, or place restrictions on their use. In addition, some localities also have restrictions and prohibitions on job applicant credit checks. For example, New York City prohibits credit checks on most job applicants. Exceptions include top-level executive candidates with fiduciary responsibilities, and applicants who would manage assets or oversee financial agreements worth more than $10,000. Chicago and Philadelphia also are among cities that restrict the use of employment credit checks. The best way to prepare for a credit check is to get a copy of your credit report as soon as possible. This way, you can check for any issues or errors, and dispute them before an employer sees them. You are legally entitled to one free copy of your credit report every year from each of the three nationwide credit reporting companies. Here is more information on how to access your free credit reports. If you know that a credit check is going to turn up questionable issues, it’s a good idea to be honest with the company and address those issues up front, but only when you know for sure that the employer intends to do a check. It is best to mention such issues on a "need to know" basis. When the employer asks permission to run the check, you should explain as succinctly and honestly as possible what they might find, and what you have done to rectify the situation. Keep in mind that red flags on a credit report don't automatically mean you won't get the job. Particularly if you went through a period of unemployment, or some other financial hardship—which so many of us have—the hiring manager might make a case for offering you a job despite what they find out about your past.